Why is Labor attacking refugees? 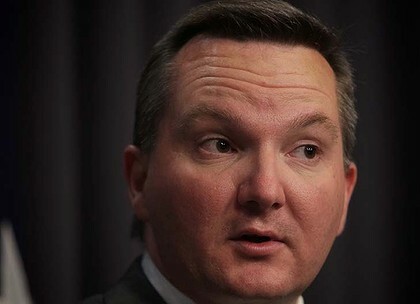 Labor’s has now turned about-face on the Pacific Solution, after it closed Nauru and Manus Island detention centres on coming to power in 2007. This shift is the final outcome of the race to the bottom on refugees that Labor has chosen to engage in with Tony Abbott—competing about who is more able to “stop the boats”. Why has Labor chosen this path? One popular explanation is that they are following public opinion. A recent Nielsen poll showed 76 per cent support sending asylum seekers to Nauru and Manus Island, with 27 per cent opposed. The Labor Party believes that anti-refugee attitudes are concentrated in marginal outer suburban seats. Because winning office means more to Labor than upholding principles, they are quite willing to junk their own policy in their effort to win those seats. Even in 2007, when public opinion was in favour of asylum boats, the incoming Rudd government went to the election maintaining the Howard government policies of mandatory detention and off-shore processing on Christmas Island. Labor has been petrified of the refugee issue since the 2001 “Tampa election”. Political commentator Laurie Oakes was told by a prominent Labor MP in the 2010 election, “You don’t need to do any polling on this if you lived through 2001”. There is no reason Labor has to simply accept public opinion. Labor could take a principled stand and try to win over people who are anti-refugee. But, Labor is a social democratic party that puts the aim of winning government above all else, leading to electoral opportunism. The party has a long history of adapting to reactionary ideas in order to win votes, from its championing of White Australia to its efforts to distance itself from its links to the union movement when attacked for its “union influence”. This approach means Labor is more likely to accept the ideas promoted by the media and big business than to challenge them. As the party’s active membership and trade union organisation has withered, Labor has less social weight to influence people’s ideas than in the past. But it is clear that public opinion can be turned around. A sizeable minority, between 30 and 35 per cent, oppose offshore processing and mandatory detention full stop. The experience of the Howard years also shows that a sizeable, determined grassroots movement can make a real difference. Activist refugee groups played a key role in shifting opinion. They brought people together in large demonstrations to arm people with pro-refugee arguments and used fact sheets and public meetings to counter the myths about refugees. Those who thought all or some asylum boats should be allowed to land went from just 47 per cent in 2001 in the wake of Tampa to 61 per cent by 2004, according to Newspoll. But it is not simply electoral opportunism that explains Labor’s anti-refugee policies. Labor sets out to form government through the existing parliamentary institutions to manage capitalism, not dismantle it. As long as tiny elite of CEOs and shareholders control the economy, no government can ignore their power. As a consequence, Labor governments also manage Australian foreign policy in accord with the wishes of big business. The government’s attitude to Tamil refugees is a particular example. Mahinda Rajapaksa’s government in Sri Lanka is responsible for war crimes against the Tamil minority, carried out in the course of a genocidal civil war. It routinely abducts, tortures and imprisons journalists and political activists, as well as Tamils. The Australian government is much more interested in maintaining a strong relationship with the Sri Lanka government than helping refugees that flee the country. The same logic saw Labor introduce mandatory detention in the early 1990s. Then it was Cambodian refugees arriving here whose presence threatened to embarrass the government’s attempt to broker a peace deal between Cambodia and Vietnam. Declaring Cambodia to be a safe country would have been discredited if stories of ongoing persecution from refugees gained a hearing. Many Labor members and voters are part of the movement fighting for refugee rights. But the Labor leadership’s commitment to electoralism and running the system means they constantly fail both refugees and their own supporters.